The programme introduced and promoted Indonesia with the idea of being the journalists experience Indonesia by themselves. Participants of the six day Familiarisation Trip Oceania 2019 in Bali, Indonesia. 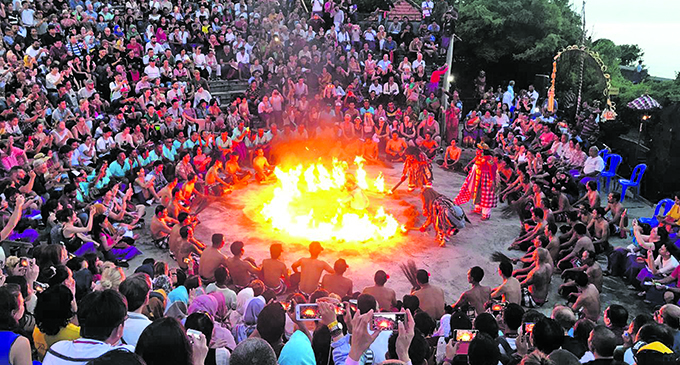 An emerging trend among travellers today is the pref­erence to connect with par­ticular destinations by immersing themselves in the culture, tradi­tions and history of local people. Similar to our Bula way that is exactly what Wonderful Indonesia provides to travellers or tourists. The Embassy of the Republic of Indonesia in Fiji had extended an invitation to Pacific Island jour­nalists. The programme introduced and promoted Indonesia with the idea of journalists experiencing Indo­nesia by themselves. The six day Familiarisation Trip Oceania 2019 was made up of six participants from Fiji and two from New Caledonia. For starters it takes over 10 hours to fly from Nadi to Bali, Indonesia via Denpasar Airport with a stop over in Sydney. Visitors get treated to Indonesian tradition. More rural tourism should be encouraged, this is where the In­donesians are thriving now and is working to their advantage. Generates employment and income for the residents of remote villages. This is especially beneficial for women who have no new opportunities to earn income away from home. Given that services are of­ten provided by residents of the village, rural tourism benefits the village in the sense that there is greater co-operation among villag­ers as they operate the local enterprises of providing for the tourists. Creates a market and ap­preciation for local products and services and keeps them alive. Encourages conservation and care of natural resourc­es such as rivers, forests, mountains as well as local fauna and flora. When these are valued as living assets to attract income, they are usu­ally cared for. Provides incentives to pre­serve old customs and tra­ditions, crafts, traditional festivals, architecture, food and other practices unique to certain cultures. Provides opportunities for mutual sharing of cultures. Hopefully, these encounters will result in greater un­derstanding among people and closer ties to the global family. Helps slow urban drift as it gives a better economic future for families in rural ar­eas. Outdoor seating is becoming increasingly popular when it comes to the restaurant industry. Remember, the more tables and seats that you have the better the chance is that you will fill them. A lot of restaurants are utilising this space to make the environment not only more appealing to their guests but to help with the overall bottom line of the restau­rant. The truth of the matter is that people en­joy dining outside. They like the environ­ment for conversations and gathering. If done correctly it can be quite good for the restaurant hosting the space. Boutique hotels is one area in the tourism sec­tor where Indonesians are also thriving in. Travellers are always looking for a unique, one-of-a-kind stay. Some boutique hotels may even be located in renovated homes or innovative, modern buildings. They can feature trendy artwork, bands, music, or other unique amenities, too. Fiji is known as the “Soft Coral Capital of the World” and is also home to the “Great Astrolabe Reef ”. We should create more awareness to our lo­cals about our diving and snorkelling market. 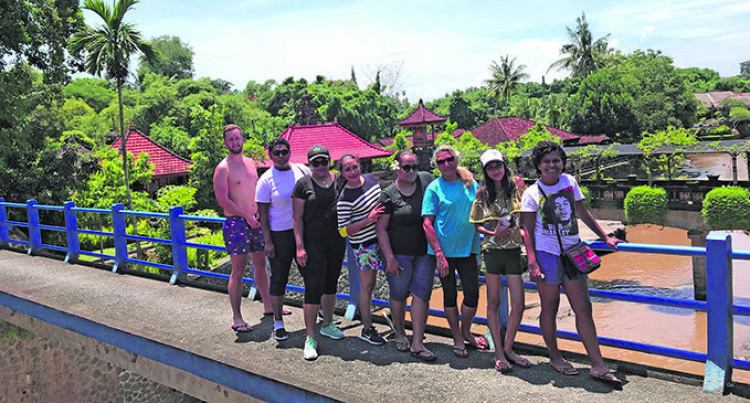 Indonesia’s Ministry of Tourism have market­ed their diving and snorkelling to their locals who in turn marketed it more to Australasian countries. The Indonesian agency along with its local municipal councils are also trying to control the dumping of rubbish in the ocean. It is un­derstood the Indonesian Government is still trying to come up with a legislation that will ensure levies are put in place to ensure there is a stop to the dumping of rubbish into the ocean. Some temples/ churches around Fiji should be placed in the market as a tourism sites to visit but at particular days. Indonesia has marketed their temples well. However, there should be sanctions put in place in the sacred places of the temples to avoid any unwarranted sacrilege or to offend someone. Indonesia has three time zones – Western Indo­nesia Time which is GMT +7 (covering Suma­tra, Java, Madura, West Kalimantan, Central Kalimantan), Central Indonesia Time which is GMT +8 (covering East and South Kaliman­tan, Sulawesi, Bali, Nusa Teggara) and the last is Eastern Indonesian Time which is GMT +9 (covering Maluku and Irian Jaya). The capital Jakarta is GMT +7 or 16 hours ahead of US Pa­cific Standard Time. The Indonesian Rupiah is called IDR. When you are travelling to remote areas it is advisable to exchange your money and clear your cheque. Credit cards are only acceptable in big hotels, restaurants, shops and travelling agencies. Indonesia is the largest archipelago in the world comprising 16.056 large and small tropi­cal islands fringed with white sandy beaches, many still uninhibited and a number even still unnamed. It has a total population of more than 215 mil­lion people from more than 200 ethnic groups. The national language is Bahasa Indonesia. Culturally, Indonesia has a rich diversity of ancient temples, music, ranging from the tradi­tional to modern pop, dances, rituals and ways of life, changing from island to island, from re­gion to region. Any visitor would feel welcomed with the warm, gracious innate friendliness of the Indo­nesian people that is not easily forgotten.